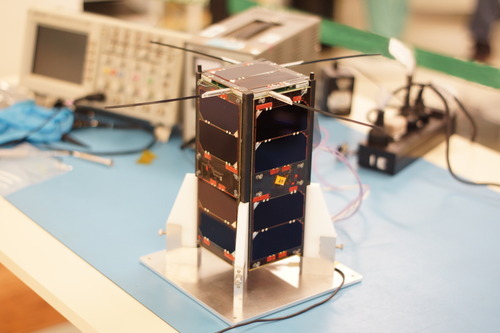 The amateur radio satellite CubeBug-1, also known as El Capitán Beto, launched April 26, 2013, is recovering from the power budget issue that caused the transmitter to be turned off for several days. This was achieved after one of the AMSAT-LU stations in coordination and in conjunction with Satellogic team, send a command to reconfigure onboard software to turn off attitude control circuits feeding magnetorquers this last weekend . Operation was with a RTL SDR dongle, connected directly to antenna, using HDSDR recording software as IF mode only, that helped not to record big amount of data from Orbitron connected to DDE, also automatically compensating Doppler. After reset, Cubebug-1 went to ‘mission state’, batteries showing adequate level of charge. Good reports were received from several amateurs from different parts of the globe. This activity is performed as part of the agreement of mutual collaboration that Satellogic and AMSAT-LU signed on July 2013. 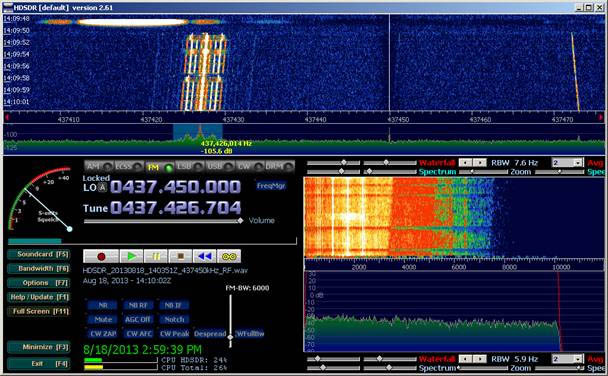 The satellite transmits 1200 bps AFSK, on 437.438 MHz, packets are sent every 30 seconds. The signal is at a low level and a directional antenna and preamp are needed for adequate reception.